He has given the world a new vision of the Pacific and of New Zealand as a Pacific nation. But New Zealanders are only just waking up to the huge international reputation of novelist Albert Wendt. Growing up in Samoa, Wendt was 13 when he boarded a banana-boat to travel to New Zealand on a scholarship to the New Plymouth Boys’ High School. 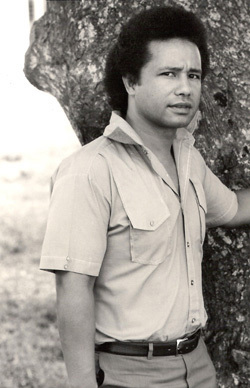 This led on to Victoria University, friendships with writers such as James K. Baxter and later Witi Ihimaera, and a love affair with a fellow student that inspired Wendt’s best-selling novel Sons for the Return Home. Dividing his life between New Zealand, Samoa, and other parts of the Pacific, he has written many novels (including two turned into feature films) and been the forerunner of today’s renaissance in Pacific arts in New Zealand – represented in this documentary by dance group Black Grace, film-maker Sima Urale, painter John Pule and rap artist Tha Feelstyle, among others. This rich chronicle of Wendt’s life and times is directed by Shirley Horrocks. 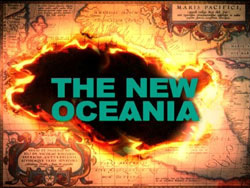 The New Oceania combines in-depth research, extensive travel, striking archival footage, and the personal story of a charismatic individual who offers a fresh perspective on this country. It also includes dramatisations of Wendt’s vivid story-telling. 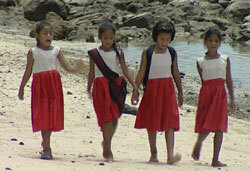 In both Samoa and New Zealand, Wendt’s work has generated controversy while inspiring the young. The title of the documentary comes from his essay encouraging all Pacific cultures to embrace change and accept the need for dissent (‘Without it, our cultures will drown in self love!’). 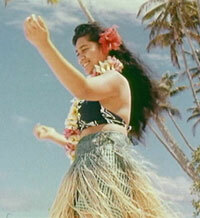 Screened: New Zealand International Film Festivals 2005, Hawaii International Film Festival 2005.New York Hawaii Film Festival 2006. 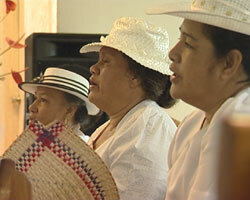 TV One (TVNZ) Festival series 2006.